Frank Borman summed up how the world felt after their epic journey by recounting one of the telegrams that the astronauts received after the mission ended. 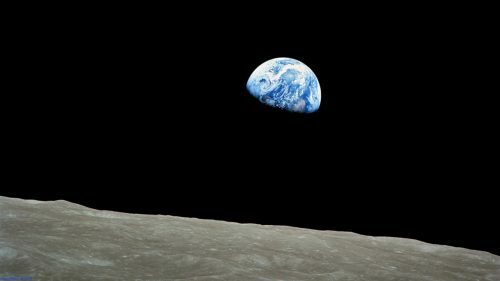 We got millions of telegrams after we landed, but the one I remember most was, “Congratulations to the crew of Apollo 8. You saved 1968.” We didn’t save it [ourselves] — but a lot of the people who made Apollo work saved it. Not only that, he also thanked all the hard work of the people who helped get Lovell, Anders & Borman to the moon and back safely. Another thing they left as a legacy of the mission is their famous, and to some infamous, Christmas message whilst orbiting the moon. #Apollo8 Anders asked for a little music. Not just entertainment, shows comm system working. Carr offered to have CAPCOM Collins sing. January saw the Viet Cong start the Tet offensive. 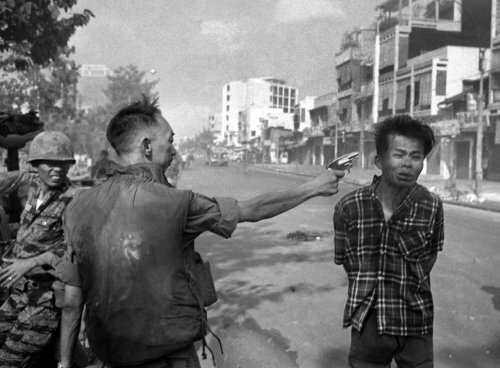 In February we saw Eddie Adams’ iconic image of Nguyễn Ngọc Loan executing Nguyễn Văn Lém. March was another violent month as the villagers of My Lai were Massacred. 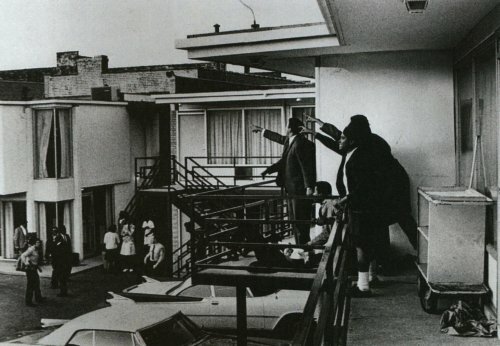 April saw the premiere of 2001: A Space Odyssey but that was overshadowed with the assassination of Martin Luther King two days later on the 4th. The month did end on a high as Manchester United became the first English team to win the European Cup. 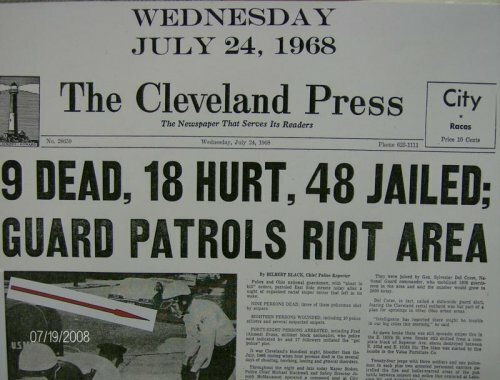 We’re now half way through 1968 with June. I was hoping that we got this far we would see a month without violence. 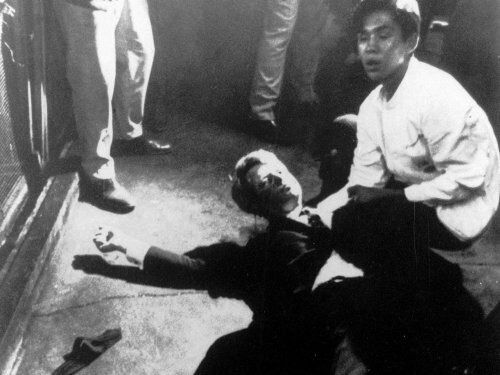 I was proved wrong as on the 5th, Robert Kennedy was shot and killed in LA. 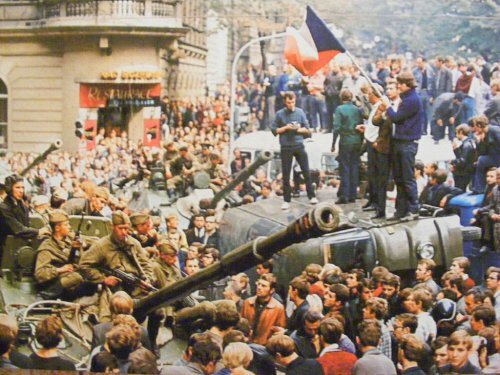 August saw the end of the Prague spring that started earlier in the year. 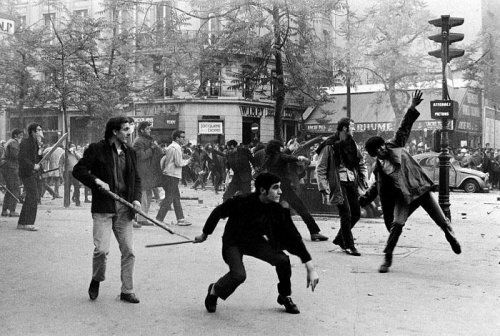 It ended with the invasion of Russian troops to stamp out the reforms. This left Czechoslovakia under Russian control until 1989. Good news for September. No major violent events to report. The first month of the year this can be said! The Tet offensive, that started back in January, finishes, Hawaii 5-O debuts on CBS and Boeing unveils their new airliner the 747. 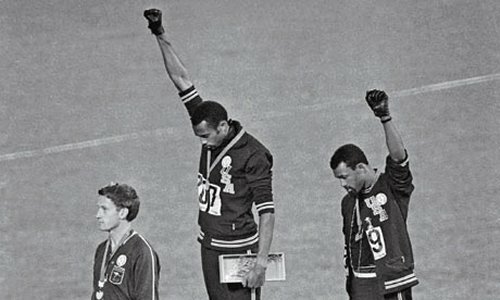 October was quite a quiet month but it did have the Apollo 7 mission and the month ended with another iconic image from the Mexico Olympics. November saw another controversial incident, that being the 12th episode from the 3rd season of a science fiction series on NBC.